Complete our consultation request form to tell us about your situation, needs, goals, and how we may assist you. 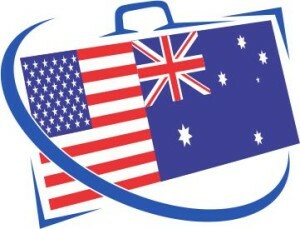 We handle all US immigration and Australian immigration matters as well as questions about the ESTA Visa Waiver Program. Upon review of you consultation request, we will send you an invoice via email. Typically, you will pay via electronic bank transfer or online via credit card to save time. Depending on our current case load, we try to assign your matter to a senior immigration lawyer who is in or near your time zone. Consultations are conducted via our firm’s globally accessible conference line. If you insist, we can meet in person–however, there will be an additional charge. There is no obligation to use our services moving forward. However, if we decide to work together on a flat-fee (not hourly) basis, we will apply your paid consultation fee to our legal fee. At your request, our office will prepare an engagement letter for your review and signature. Upon receipt of a signed engagement letter, we will provide you with access to our case management system and begin gathering information to prepare and submit your matter. How long does it take to schedule a consultation? – Typically 1 to 4 business days, depending on when we receive your request, any time difference, and our receipt of payment. What if I have an urgent need for an initial consultation? – Be sure to mention what it is and why it’s so urgent on your form. We’ll do our very best to invoice you as quickly as possible. As soon as we receive payment, we’ll fast-track your matter. We have a lot of experience handling urgent business matters and responding to family members in distress. What types of matters do you typically discuss in an initial consultation?